As in other sub-Saharan African countries, purebred dairy genetics such as Holsteins were imported to Malawi. The study investigated their economic performance by comparing them with local Zebu-crossbreds based on 131 smallholder dairy farm observations from Southern Malawi. High-yielding purebred cows and crossbred cows showed no significant differences in lactation yield and calving interval. Looking at the farms’ actual costs, by-products such as maize bran clearly dominated the cost structure for both breeds, but crossbreeds showed significantly lower concentrate costs. While there was no statistically significant difference in income for both breed types, a substantial share (23%) of farms under investigation shows negative incomes. Based on survey data, two typical farms were established representing standard costs with homogenous assumptions such as identical milk price. The comparison of typical farms covering the full dairy system clearly indicated that crossbred dairy cows outperformed purebreds. In addition, a simulation of a shorter calving interval for both typical farms revealed a substantial positive impact on income for both breed types with more than 30% increase. We conclude that focusing on crossbreds in combination with improved feeding and fertility management offers a more promising strategy for smallholder dairy farms in Southern Malawi than just acquiring high-yielding purebreds. We thank the Department of Agricultural Research Services (DARS) and Lilongwe University of Agricultural and Natural Resources (LUANAR) together with their staff for conducting the survey in Malawi, especially Dr. Fanny Chigwa and Daniel Chiumia. This study was supported by Swiss Agency for Development for Cooperation (SDC), Switzerland and Royal Museum of Central Africa, Belgium in the frame of an ERA-ARD Project (“Improving rural livelihoods in Sub-Saharan Africa: Sustainable and climate-smart intensification of agricultural production”). Chenyambuga, S.W. and K.F. Mseleko. 2009. 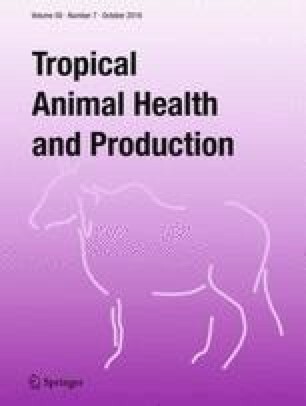 Reproductive and lactation performances of Ayrshire and Boran crossbred cattle kept in smallholder farms in Mufindi District, Tanzania. Livestock Research for Rural Development, 21100. Retrieved March 21, 2016, from http://www.lrrd.org/lrrd21/7/chen21100.htm. Hüttner, K. 2000. Impact Assessment of a Community-based Animal Health Service Program in Northern Malawi. PhD thesis, Massey University. Retrieved March 23, 2016, from https://www.massey.ac.nz/massey/fms/Colleges/College%20of%20Sciences/Epicenter/docs/KlimHuttnerMVS.pdf?160A1EAB97B5868BA3DC4035C2054BAA. Mburu, L.M., K.W. Gitu and J.W. Wakhungu. 2007. A cost-benefit analysis of smallholder dairy cattle enterprises in different agro-ecological zones in Kenya highlands. Livestock research for rural development 19 (95). Retrieved March 23, 2016, from http://www.lrrd.org/lrrd19/7/mbur19095.htm.